Summer may seem far off, but it’ll be here before we know it, and now is the time to plan for summer fun, including camps. Carroll County offers a variety of fun and educational camps for all age groups and interests — and it’s no secret that camps offer kids more than just something to do. While at camp, kids build friendships, gain a sense of self-confidence, build social skills, and, through games, crafts and activities, learn to achieve goals through teamwork. June 17-Aug. 30 Ages 5-14. Full-day and extended-day camps at locations in Eldersburg and Westminster. Early Bird specials and discounts available. Ages: Entering grades K-8. Swimming lessons once a week. Weekly swimming field trip to Cascade Lake Pool in Hampstead. Weekly themes, hiking, nature activities, sign language, arts and crafts, and STEM activities. Lunch available for purchase one day. Deer Park United Methodist Church, 2205 Sykesville Road. Transportation available from Hampstead and Glyndon areas. Ages: Entering grades K-8. Swim lessons once a week. Swimming field trips once a week to Cascade Lake Pool in Hampstead. Weekly themes, hiking, nature activities, fishing, pedal boats, sports, STEM activities, arts and crafts, sign language and clubs. Piney Run Park (Pavilion 6), 30 Martz Road. Transportation from Watkins Park in Mt. Airy. Grades 4-8, with limited enrollment. Specific field trip locations for select Fridays to be announced. Fun day of field trips, team building activities and adventure. Field trips leaving from both locations. Ages: Entering grades K-8. Camp offered final week of summer Aug. 26 -Aug. 30. Piney Run Park Nature Center Programs, hiking, nature activities, fishing, pedal boats, sports, STEM activities, arts and crafts and sign language. June 17-Aug. 23. Ages 6-12. Different camp theme each week; full day of programs. 71 E. Main St., Westminster. Contact Jordana Hudson at 410-386-0135 or email Erin Bishop at ebishop@bgcwestminster.org. June 24 – Aug. 23. Ages 5-15. Carroll Community College has nearly 200 half-and full-day enrichment programs in a camp-like environment: includes arts and creativity, cooking, digital technology, drones, STEM, American Girl, Harry Potter, performance, science, and more. Carroll Community College, 1601 Washington Road, Westminster. Information: 410-386-8100 or carrollcc.edu/summerkids. July 1-3 and Aug. 7-9, ages 5-7 as of Jan. 1. Clover Camp is held at the Carroll County Extension Office. Younger Residential Camp June 24-27, ages 8-11 as of Jan. 1. Older Residential Camp July 8-12, ages 10-16 as of Jan. 1. Campers will join the youth-focused 4-H camp family at Hashawha Environmental Center, which features canoeing, archery, outdoor games, crafts, youth-led educational lessons, songs, campfires and other events and activities. Scholarship assistance available. Information: Extension Office, 410-386-2760 or 888-326-9645. Applications: http://extension.umd.edu/carroll-county/4-h-youth/4-h-camps. University of Maryland Carroll County Extension Office, 700 Agriculture Center Drive, Westminster. All camps held at the Carroll Arts Center in downtown Westminster. Explore the arts, from theatre to arts and crafts projects. Registration for CCAC members opens March 1 and the general public can register beginning April 1. CCAC members receive a 10 percent discount on all classes and camps. Families enrolling two or more children are eligible for a discount (call to make arrangements). Tuition assistance is available through the Tom Holder Memorial Arts Scholarship Fund. Carroll County Arts Council, 91 W. Main St., Westminster. Information: 410-848-7272 or www.carrollcountyartscouncil.org. For ages 7-9 (2nd-4th grade), June 24-28, 9 a.m.-3:30 p.m., $230. In this week full of theatre fun, campers will produce a play with full costumes and scenery. All campers will have a moment to shine! Students will discover the world of theatre through improvisation games, drama exercises, and technical theatre training. The performance will begin at 3 p.m. on Friday, June 28. For ages 5-8, July 8-12, 9:30 a.m.-12:30 p.m. or 1-4 p.m., $135. Campers will get a diverse introduction to the arts in this exciting camp! Activities include a creative mix of craft projects, drawing and painting, a pottery wheel lesson and more. Young artists will be inspired as they experiment with different art mediums and their imaginations soar in their art work. For ages 9-13, July 8-19, 9 a.m.-3:30 p.m., $320. For two weeks, campers will be immersed in the magic and excitement of live musical theatre as they learn dialogue, music, and choreography for a large-scale musical production. All campers will have a performing role in the show and get hands-on experience while helping to create the scenery, props, and other technical elements used in the show. The big performance will begin at 3 p.m. on Friday, July 19. Aug. 6-10. Ages 6 and up. Campers will study a variety of dance forms, including ballet, drama, tap, jazz and modern. They will also learn to design costumes and scenery for an end-of-season performance. 6933 Warfield Ave., Sykesville. Contact: Becky Eckrote, 410-795-3255 or info@carrollcountydancecenter.com. Carroll offers many camp opportunities throughout the summer months to keep youth and teen minds and bodies active. Among the youth camp offerings: Archery, Golf, Art, Basketball, Camp Sampler Fun, STEM Camps, Adaptive Recreation Camp, Dance, Swim Lessons, Soccer, Conditioning, Gymnastics, Teens on the Go! Summer Destinations, Baton Twirling, Football League, and much more! A complete list and details of programs can be found in the Rec Department’s Summer 2019 Program Guide at ccrecpark.org. Contact Jamie Noel for more information at 410-386-2103 or email ccrec@carrollcountymd.gov. Camp opportunities for grades 3-6, week-long camps run from June 19 – July 17. Pioneer a new adventure at Living History Camp 2019. Campers participate in an array of hands-on activities that will transport them back to the 1800s. Artisan-led activities such as blacksmithing, tinsmithing, hearth cooking, candle making and papermaking give campers a glimpse of life over 150 years ago. For more information: www.carrollcountyfarmmuseum.org or call 800-654-4645. Carroll County Farm Museum, 500 South Center St., Westminster. Camp T.R. Weekend Overnight Experience, May 31, June 1, and June 2. Ages 7-15. Free. Meets first weekend in June. Camp T.R. offers a safe place for children and adolescents to share feelings, ask questions and learn positive coping and grieving skills after the death of a loved one. Work through grief using art, music and crafts; also enjoy hiking, swimming, and naturalistic programs. Based at Hashawha Environmental Center, 300 John Owings Road, Westminster. Registration required by May 1. Contact: Jessica Roschen, Carroll Hospice, 292 Stoner Ave., Westminster. 410-871-7656. 11 week-long sessions from June 17 -Aug. 30. 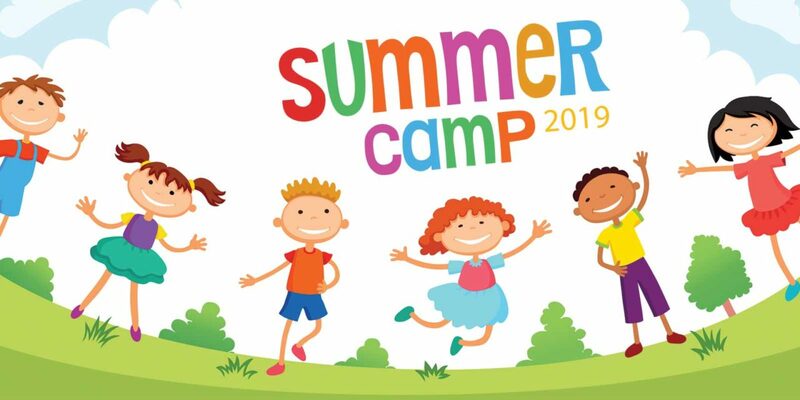 Regular hours are 8:30 a.m. to 4 p.m. with before-care and after-care available as early as 6:30 a.m. and as late as 6 p.m. Campers will enjoy swimming every day as well as sports, games, crafts, mini golf, inflatables and other activities all on site. Discounted rates available with early enrollment. 2710 Hampstead-Mexico Road, Hampstead. Information: www.4seasonssportscomplex.com. Contact: Jessica Dannettel at 4seasonsevents@gmail.com or 410-239-3366. June 24-28, 9 a.m.-1:15 p.m. for youths entering grades 1-6. Activities may include arts and crafts, build-it, calligraphy, extreme sewing, glamour and grace, flag football, gymnastics, hand sewing, mixed media and arts, nature and photography, outdoor games. Lunch and snack are included each day. No cost. 4150 Sykesville Road, Finksburg 21048. 410-552-9522, ext. 7. www.faithfamily.com. June 17-22; June 24-29; July 8-12. Students in 9-12 grade. Summer camp for science-oriented high school students, offering a variety of courses in each session. All students receive a $40,000 scholarship guaranteed to attend McDaniel. www.summerscienceacademy.com. For ages: 12-18. July 7-10 (All-Skills Camp). July 10-11 (Position Specialty Camp). Join the fun and improve your game. The camp is directed by McDaniel volleyball coach Jessica Wolverton. Campers will master the fundamentals and develop proper mechanics through a mix of drills, games and competitive play. Open to individuals and teams. Players are grouped by age and ability. July 16-18. Ages 9-18. Our goal is to stimulate a love for the game by immersing you in the sport and giving you the kind of focused, intensive training essential to improvement. Over the course of camp, we want to create a unique training and learning experience that will help your enthusiasm and self-confidence grow along with your skills. Open to individuals and teams. Players are grouped by age and ability. Camp is directed by Kristin Ramey, head women’s lacrosse coach at McDaniel. For ages 11–19. Residential camp: July 21–23. Camp includes technical and tactical training as well as full-field matches. Information: Sandy Lagana, 410-386-4630 or slagana@mcdaniel.edu. Residential Camp: July 24-26. Ages 11-19. Camp is for players who are interested in pursuing college soccer and want the opportunity to be evaluated by college coaches. Information: Steve Corrieri, 410-857-2589 or scorrieri@mcdaniel.edu. June 17-August 31. Half-day and full-day weeklong camp options, ages 4-15 years. From swimming to sports, art, dance and specialty themed camps your child will have a blast this summer with us. Check out our over 35 camp offerings at www.merrittclubs.com/camps today. Camps start the week of June 17th and run through August 30th. Contact Camp Director, Sherri Lively at 410-549-8855 or slively@merrittclubs.com for more information. Ages: 4-17; day and overnight camps, and mobile camps, with activity options including horseback riding, archery, tag, zip lines, ropes course, paintball, and more. RVR offers unique challenging experiences, quality caring staff, and meaningful life impact. 4443 Grave Run Road, Manchester. Info: www.rivervalleyranch.com or 443-712-1010. Summer dance classes and workshops. Early July to mid-August. Ages 3 and up. Classes and workshops include ballet, pointe, tap, jazz, lyrical, modern, hip-hop, musical theatre, and acro. Half- and full-day workshops available. 3000 Gamber Road, Suite 7, Finksburg. Visit www.tamigees.com for further information. Registration begins in April. Contact Tami Moore, 410-861-8385 or terigeppi610@comcast.net. Children participate in a variety of activities, games, sports, crafts and field trips. The camp takes place at Westminster City Park, 11 Longwell Ave., Westminster. Day Camp for ages 6-12 years (must have completed kindergarten) is offered Monday-Friday, 9 a.m.-4 p.m. Camp tuition is $125/week. A $45 non-refundable, non-transferable deposit is required for each week of camp registered for. This deposit will be applied to the tuition balance. Before- and after-care is available 7 a.m.-9 a.m. and 4 p.m.-6 p.m. for an additional charge; $15 for before-care and $15 for after-care per child. Information: www.westgov.com/recreation/rec_camps.html. Or call 410-751-5501. Young Life camping is full of high adventure, crazy fun and incredible food … and it promises to be the best week of your life! Teens (and families and adults) are treated to resort-quality facilities as they escape from the pressures of everyday life to have fun with friends and their Young Life leaders, and hear the message of God’s love in terms they can understand. Young Life camping this summer promises to be filled with lasting memories and life-changing moments! More info at carrollcounty.younglife.org. June 17 – Aug. 23, 9 a.m. to 4 p.m., with free before- and after-care (7 a.m.-9 a.m. and 4 p.m.-6 p.m.). There are 18 Y Camps located in Baltimore City and Anne Arundel, Baltimore, Carroll, Harford, and Howard Counties. Carroll County Y Camps include Camp Hashawha Overnight Camp and Y Camp at the Hill Y in Westminster. For more information on these two camps, call or visit the Hill Y at 1719 Sykesville Road or call 410-848-3660. To register for any Y Camp, go to ymarylandcamp.org. Entering grades K-6. Participate in traditional camp activities like creative arts, water play, camp games, and swimming while making new friends and having fun. You also have the option of adding-on swim lessons, dance, rock wall, and sports activities to your camp day. Entering grades 4-10. Ideal for the camper who loves a good day trip! Explorers (ages 9-11) participate in traditional camp activities and go off-site twice a week to local destinations like the movies, putt-putt, bowling, skating, and more. Adventurers (ages 12-15) travel three times a week for adventures in laser tag, water parks, museums, community service projects, and more. Entering grades 7-11. Teens will build quality leadership skills and learn how to work effectively with others. Teens may also earn hours towards their service learning school graduation requirements. Navigators (ages 12-14) focus on service oriented projects where campers learn skills centered around community development. Ages 15-17. For campers who are interested in learning real life job skills and leadership development. Entering grades 1-6. Full-day sports camps include basketball, soccer, and more. Entering grades 1-6. Full-day art camps where campers can express themselves through drawing, painting, acting, poetry, and more. Entering grades 1-6. Full-day camps. Campers will experience the ultimate in “edu-tainment” including environmental discoveries, engineering fun and much more. Ages 8-15. Campers will discover new skills and new friends as they embark on one adventure after another! Activities include archery, camp fires, swimming, canoeing, and more. Ages 7-16. Located on 67 acres of pristine woodland and bordered by Gunpowder Falls River and State Park, providing the quintessential setting to unplug and return to nature – complete with ropes courses, pony rides, climbing tower, swimming, nature studies and more. Day camp and resident camp available.